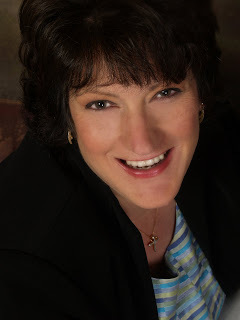 Let's give a warm Christian Writer/Reader Connection welcome to Author, Linore Burkard. Her novels center on "Inspirational Romance for the Jane Austen Soul." Before The Season Ends ,which released on December 1, 2008, is a blend of Christian faith and romance with well-researched details from the Regency period (1811-1820). Her second novel, The House in Grosvenor Square, is scheduled to release in April, 2009. Linore resides in southwestern Ohio with her husband and five children. Her hobbies include working on four new Regency novels, family movie nights, and swimming. 1) Did you have a specific "what if" moment before writing, "Before The Season Ends?" I suppose I did. The whole story started at what is becoming known as "the tree scene." So I guess my question was, "What would happen if a genteel young woman somehow got herself stuck in a tree? At a posh estate? And the estate owner, who also happens to be a formidable character and much sought-after bachelor, is the one who finds her? And he has a strong distaste for young, inexperienced women?" You can see how the plot just kept getting thicker! 2) Are you a plotter or a SOTP writer? So far I have only started books without having any idea of how they would end, or what would happen in the middle. I guess that makes me a seat-of-the-pants writer. However, I did outline the sequel to, Before the Season Ends, and pretty much stuck to it. I started the outline after I had started the novel, but at least I'm learning to work with an outline, which I expect to keep doing until I'm really comfortable with it. The sequel is finished, by the way, and my editor said it was "riveting." So I'm thinking outline (ie, plotting) is the way to go! 3) I was fascinated by your knowledge of the Regency period. Can you share how you became so well versed about that timeframe? Reading. I read a couple of Georgette Heyer books. (Even though I loved her writing, I really never sought out more of her books. If my library didn't have them, I didn't read them.) But I started researching. Once I knew I wanted to write that period, I started collecting books about it, and reading whatever I could find. Jane Austen books and movies also inspired me. 4) Can you give us a brief description of the storyline? A young Christian girl is sent to London during the Season, and becomes unwittingly tangled in events with the Paragon, London's darling rogue. She finds herself in a classic dilemma between head vs. heart. She knows she can't marry the unbeliever, but eventually is backed against a wall, betrothed to the wrong man. Her faith plays a big part in how things end up, but she is in hot water for much of the book. The story brings the reader to Regency, London, and gives them the sense that God is truly involved in daily life, and that happy endings are possible for everyone. 5) Are any of your characters modeled after historical figures, composites of people you know, or do they spring solely from your imagination? The Regent was, of course, an historical figure, and Beau Brummell, and Lord Alvanley. The rest of my characters are fictional. If at least ten people comment, Linore has graciously offered to provide a free book for a drawing. Please leave your email address in the comments so I can contact you. If we get enough commenters, she will send the book directly to the winner. Thanks, Linore, for a behind-the-scenes look at Before the Season Ends. What a great interview! I love Jane Austen, so I know I'll probably love this book. It sounds right up my ally! Thanks for introducing me to, what sounds like, a very talented author. I'm so glad you posted this. I've been very disappointed with the other Jane Austin type novels. It's nice to know that there is a Christian version. I can't wait to read these! Hi Linore! I love how you described the beginning of your first book. I had no clue that was the opener and is sounds hilarious. I've been hearing about you all over the internet, and only good things! Thanks for the interview, Susan! Linore did a great job with researching this book. I think you'll enjoy it. Linore's even inspired me to take another look at Jane Austen. That should say something about her dazzling Regency romance. Thank you, Susan, for your kind words, not to mention, having me here to begin with. And thank you, Sarah, Annie and Jessica. I'm not a big fan of Austen continuations--I'm not saying there's anything wrong with them, I just don't usually read them. But I do love JA and the Regency. When my new website goes live in about a week, be sure to stop by to look at the free resources I'll have there just for readers. Jessica, thanks for letting me know you've been hearing all good things about my book. If books aren't in the budget, ask your local library to get a copy. They're usually happy to get a book when they know someone wants it. Thanks for including me on your blog tour. I'm honored. BTW, your present website is fabulous - chockful of information. I can't wait to see the new one. Linore did a great job giving us a peek into her writing life. She's not only a talented writer, but a delightful person.